LIMERICK GAA is almost ready to unveil their official commemorative DVD of the All-Ireland SHC title victory. ‘Dreams: An Unforgettable Year’ will be hitting the shops in the coming weeks. The DVD will be launched this Saturday but won't be available to purchase - only for pre-sale. The eagerly awaited production contains three DVDs, one of which features the entire All-Ireland final win over Galway. The two other DVDs will contain unseen behind the scenes footage and exclusive interviews with members of management and players. Across the three DVDs there is almost four and a half hours of footage. Profits from the sale of the DVD will go towards the Players Fund. The Limerick GAA launch event takes place this Saturday, November 10 in Elverys in the Crescent Shopping Centre. The new 2019 Limerick GAA jersey will also be officially launched at the event and available for sale at €70. Between 12noon-2pm, Elverys will be visited by a number of the All-Ireland winning players for photo opportunities with the Liam MacCarthy Cup. 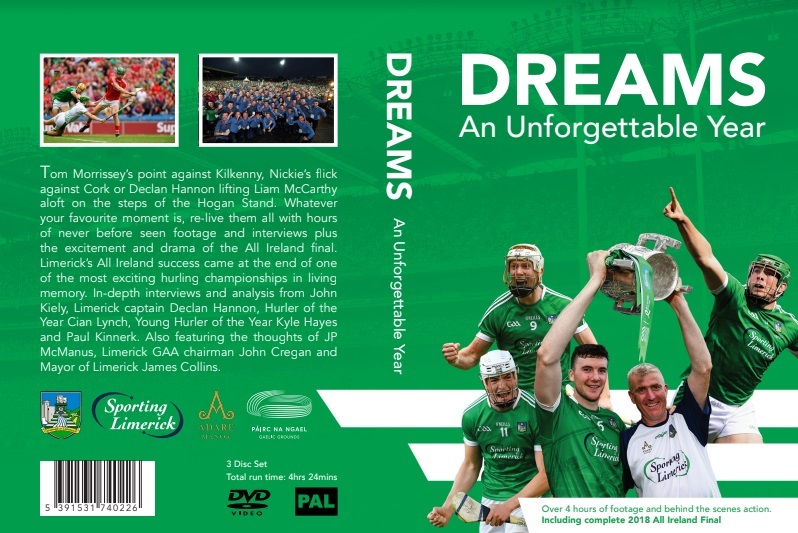 The forthcoming DVD and new jersey and leisurewear join the list of official Limerick GAA merchandise that already includes the number plate (€5), Treaty Triumph book (€19.95) and official team photograph (€250). Further official products are to be unveiled in the coming weeks.